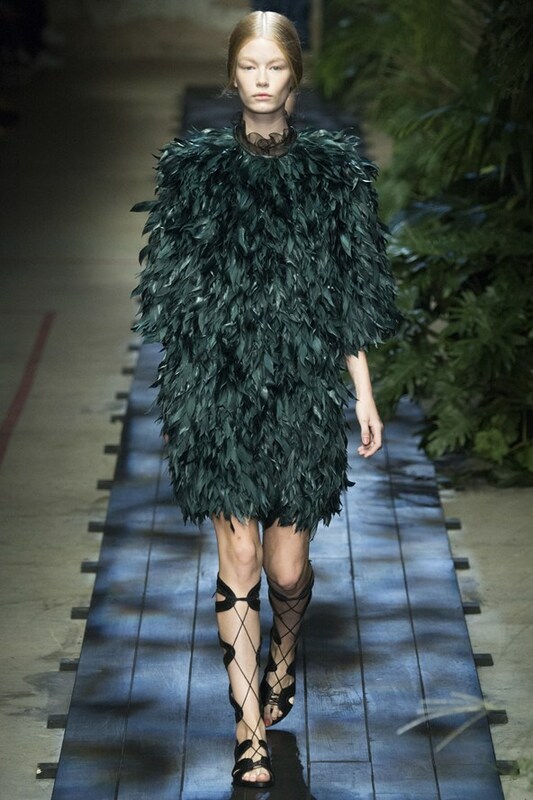 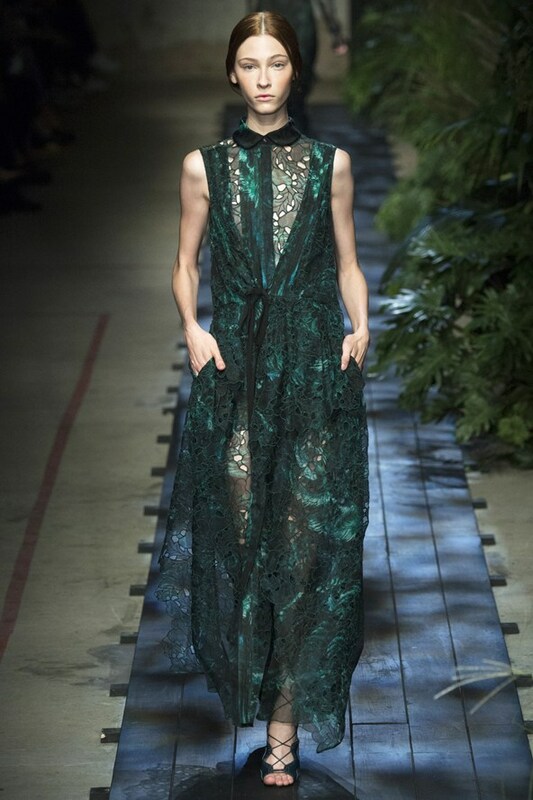 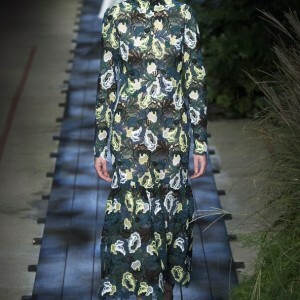 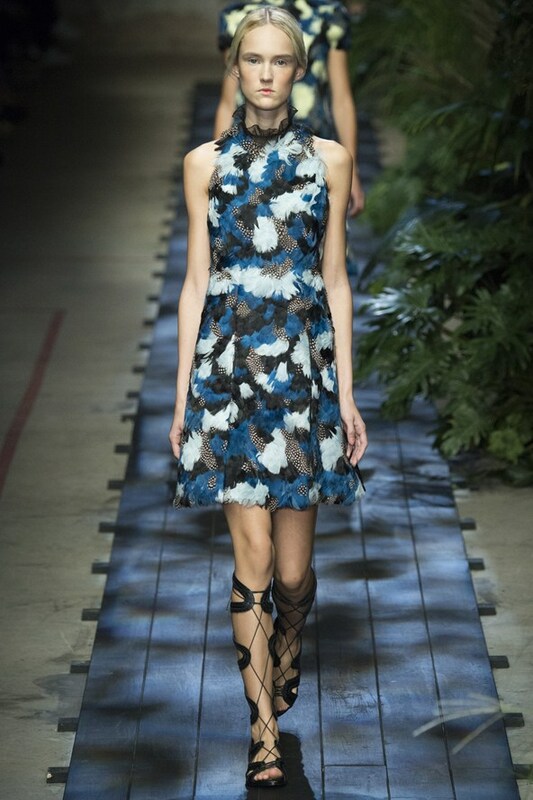 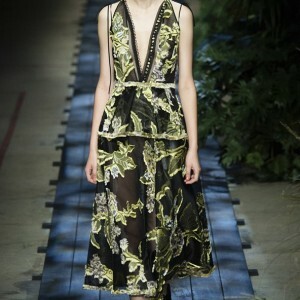 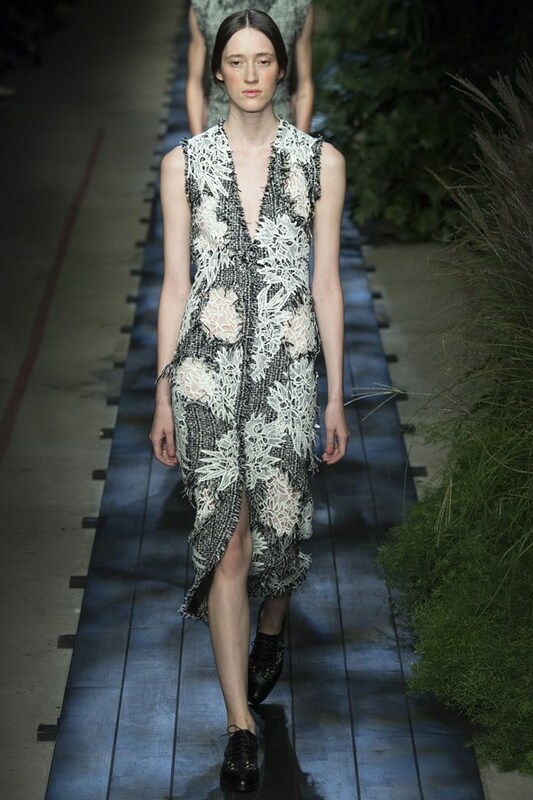 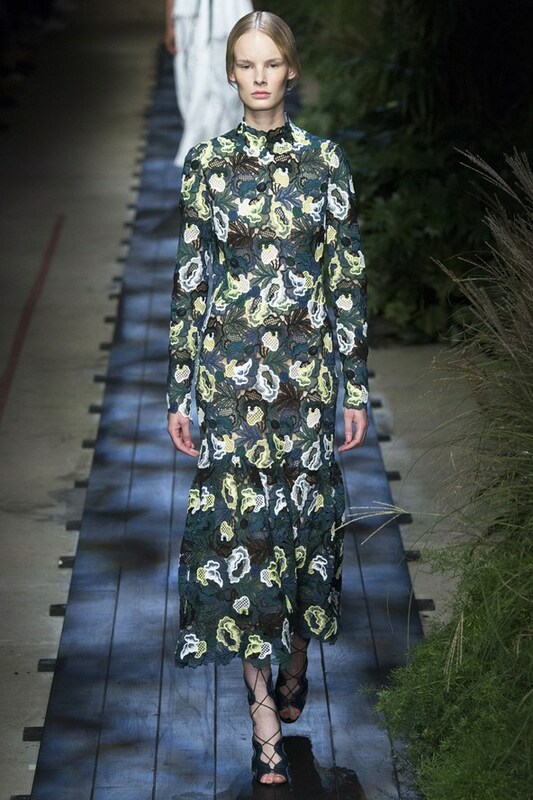 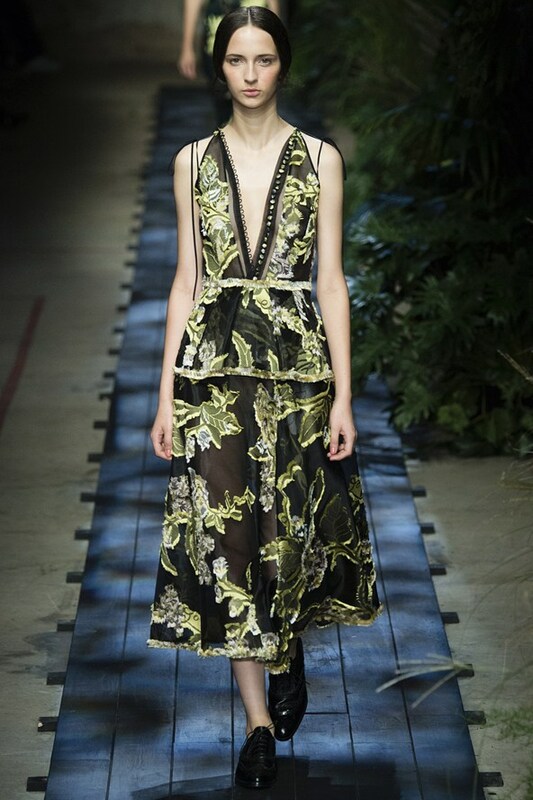 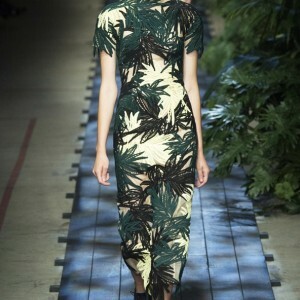 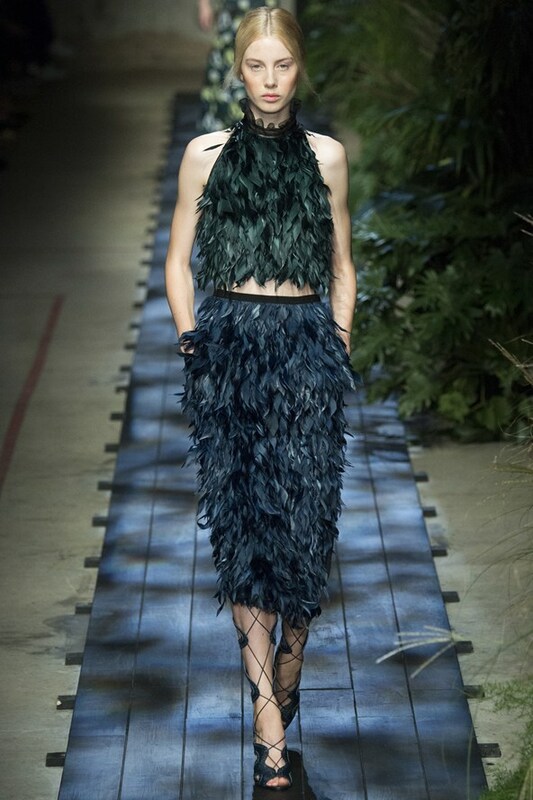 Erdem takes us to the enchanted forest full of peculiar unearthly creatures, princesses and nymphs. 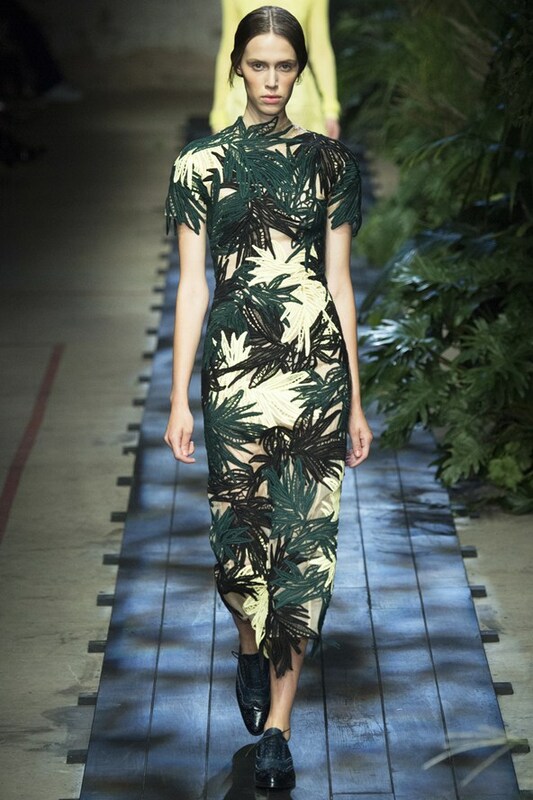 Dark leafage green is the primary color of this collection, accompanied by a little bit of tender yellow and timeless black and whites. 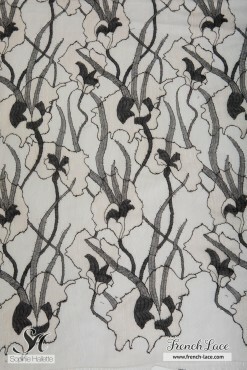 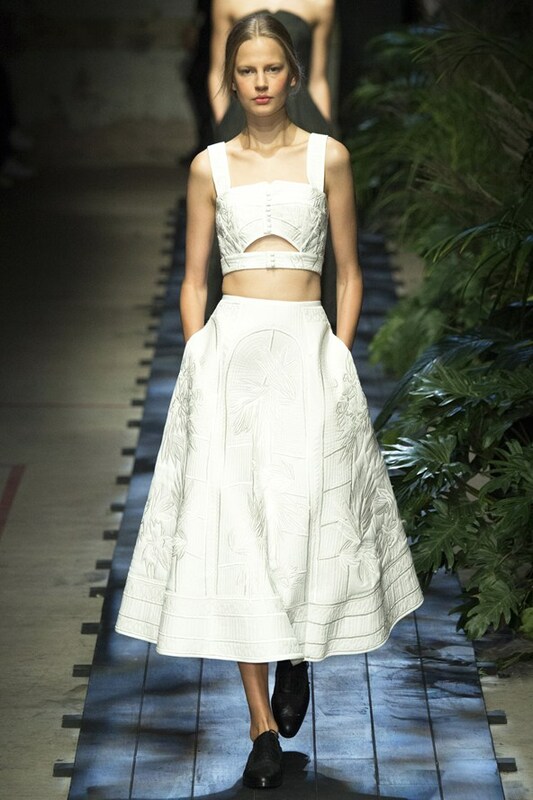 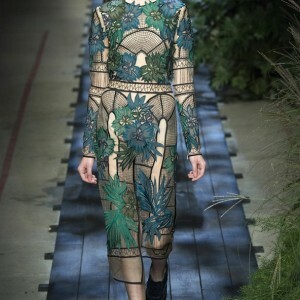 Floral motifs, thin elvish silhouettes and of course lots of laces. 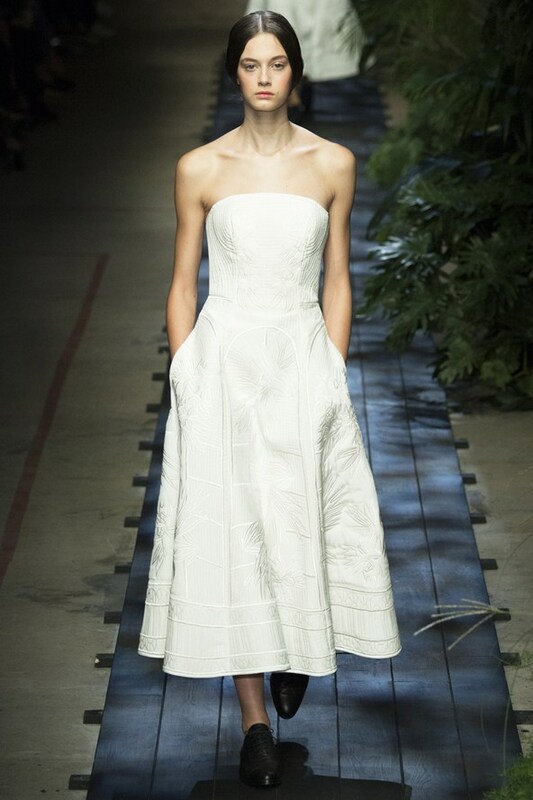 From heavy guipure sculptured embroideries to delicate and flowy Chantilly lace. 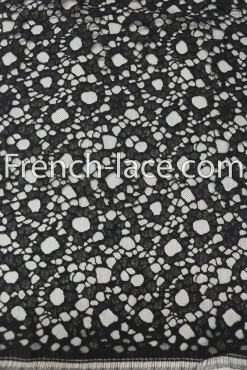 You can find all kind of images in this collection, majestic and cold, natural, subtle and delicate. 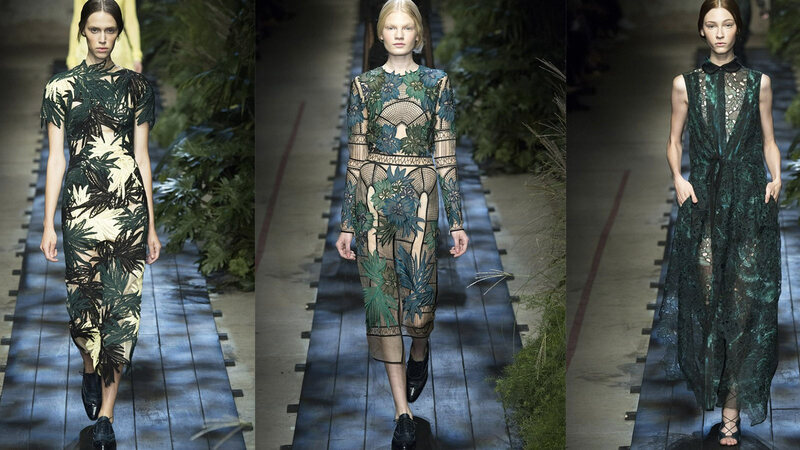 All connected and woven into one charming story. 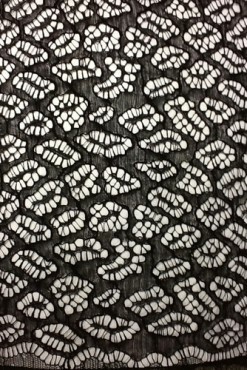 Appliques on a black french tulle dress. 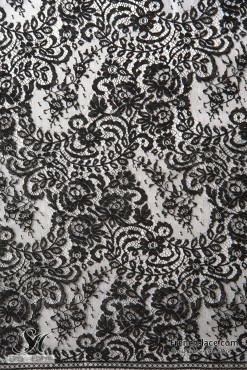 Classic flowy black chantilly lace dress. 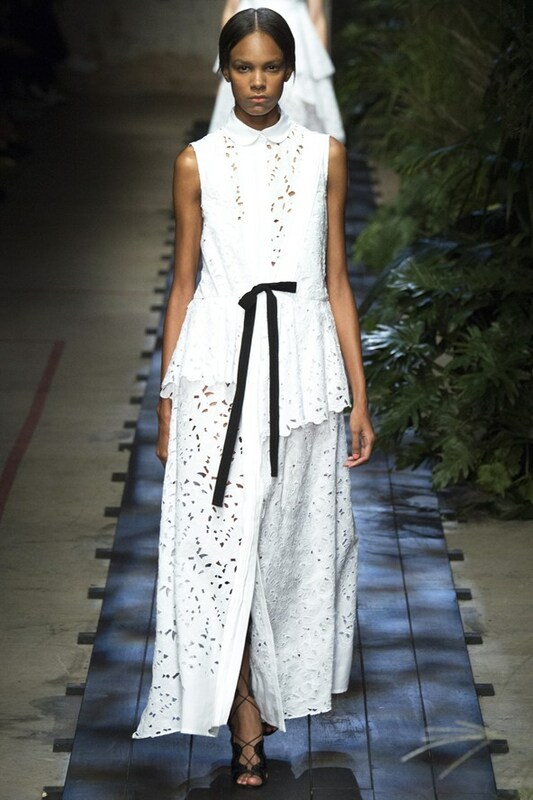 White embroidery guipure lace dress. 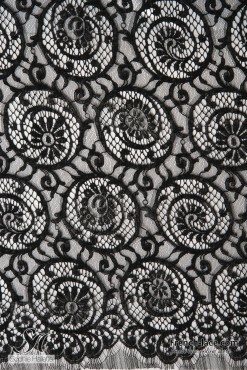 Black embroidery guipure lace dress. 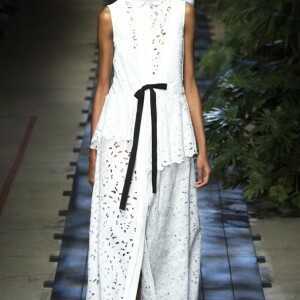 Pure and natural, white guipure lace dress. 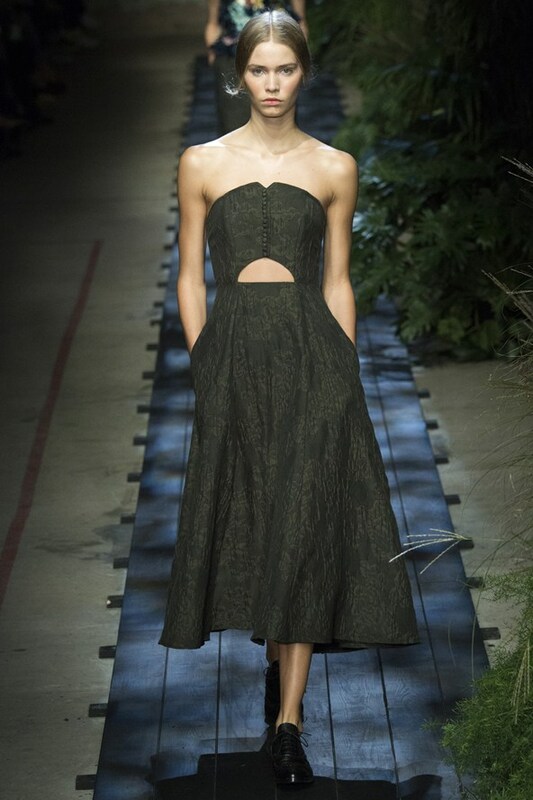 Bold and dark, black guipure lace dress. 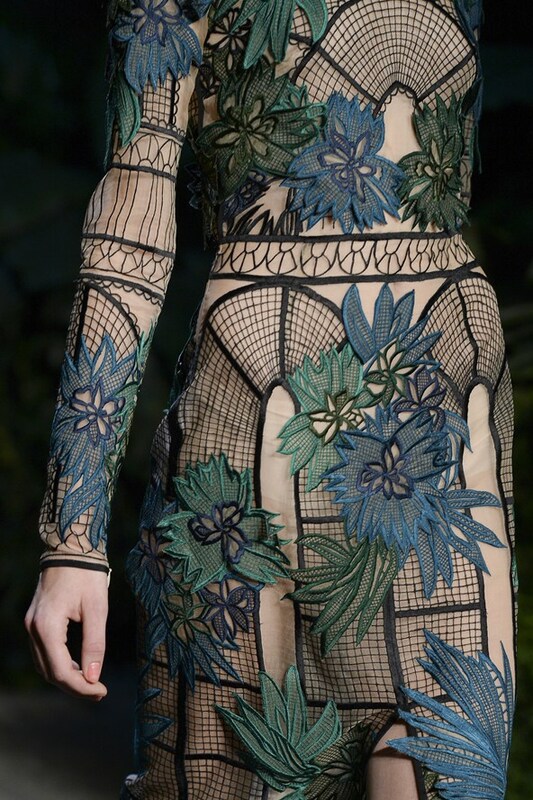 Gorgeous floral embroideries on this transparent lace dress. 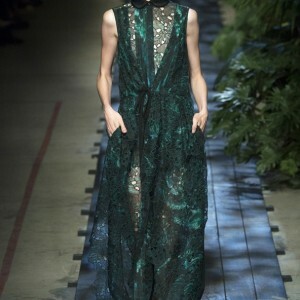 Layered dark green Chantilly lace flowy dress. 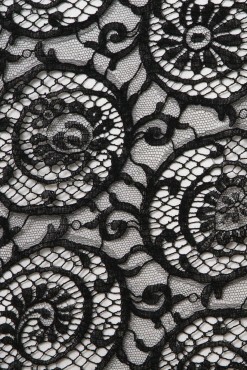 Majestic black lace dresss. 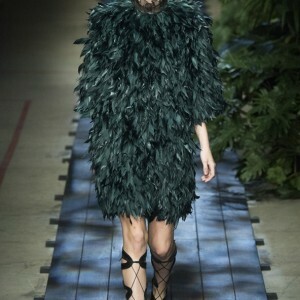 sleevless and with a high collar. 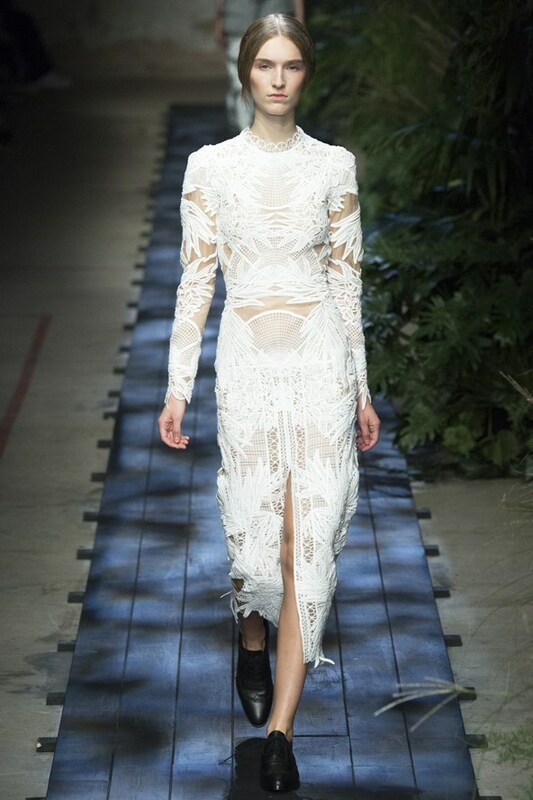 Neat, pure white cutout guipure lace dress. 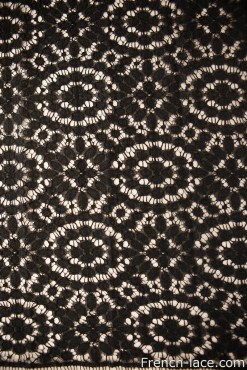 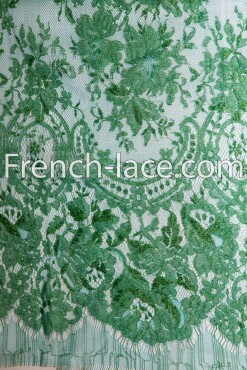 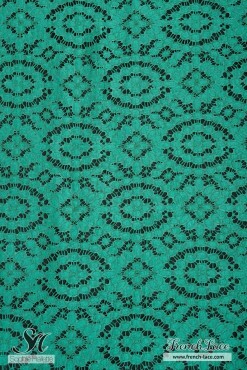 Numerous floral guipure lace embroidery appliques sewn together. 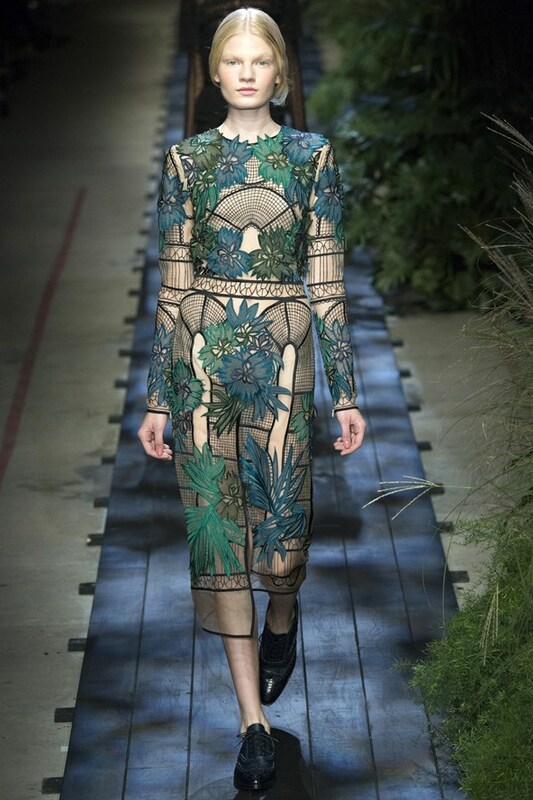 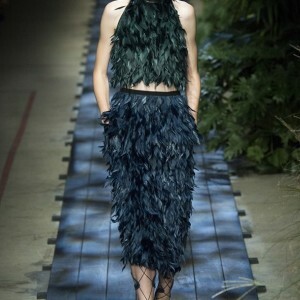 Feather and wool appliques on a lace dress, ravishing! 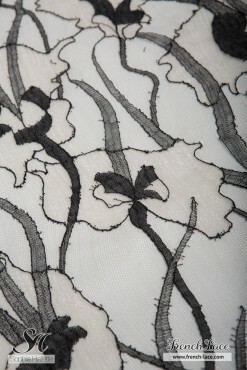 Feather and wool appliques on a lace dress. 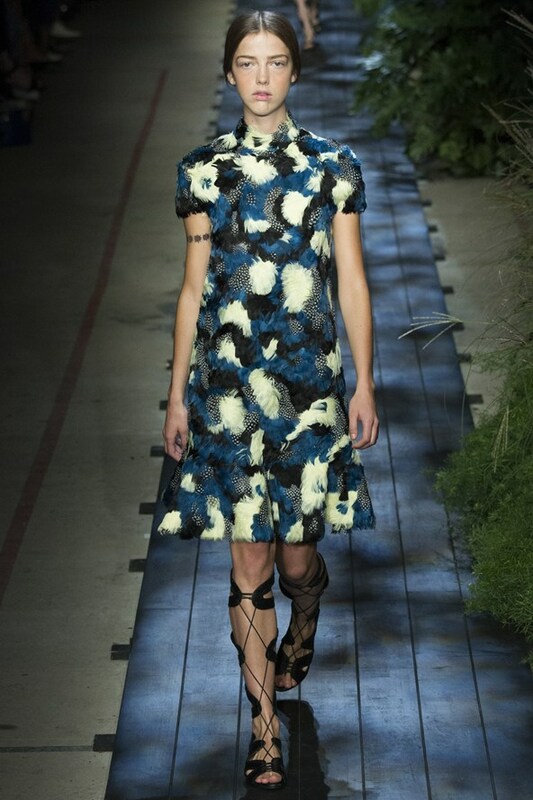 Feather and wool appliques on lace and a tender, transparent blue top. 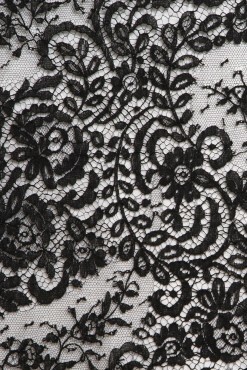 Closeup of a white guipure lace dress. 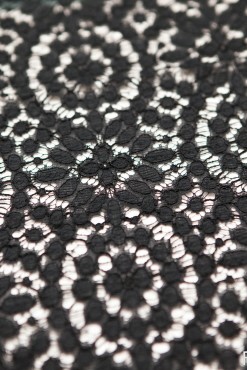 Closeup of floral guipure appliques. 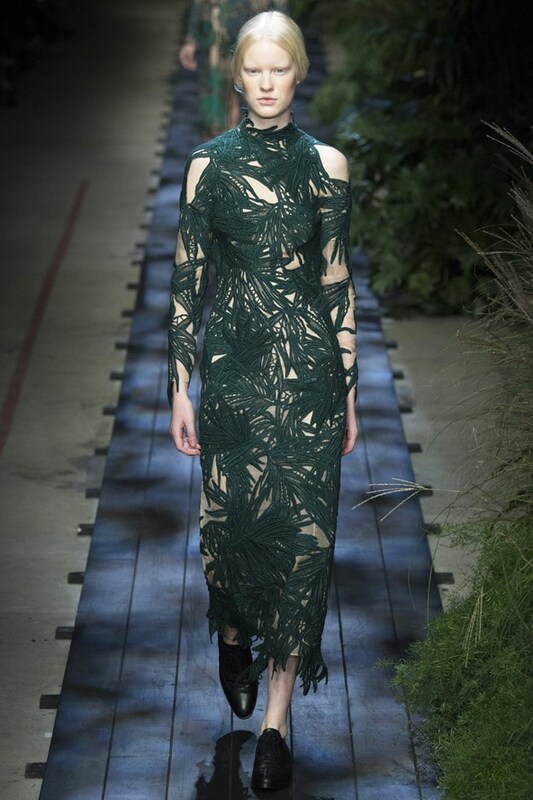 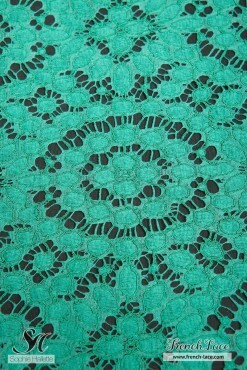 Forest green guipure lace dress. 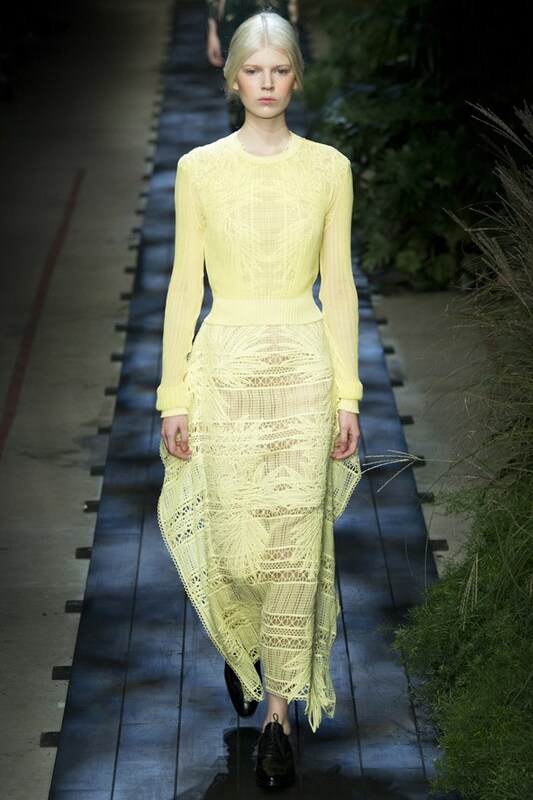 Tender and bright yellow guipure. 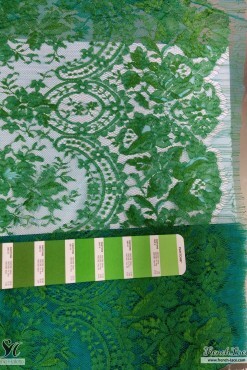 Mixed up yellow and green guipure laces. 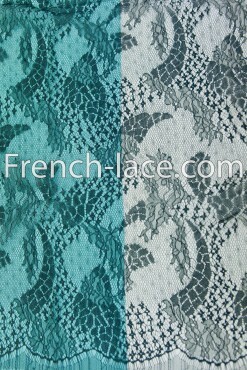 Post a comment or write a letter to us if you need any help! 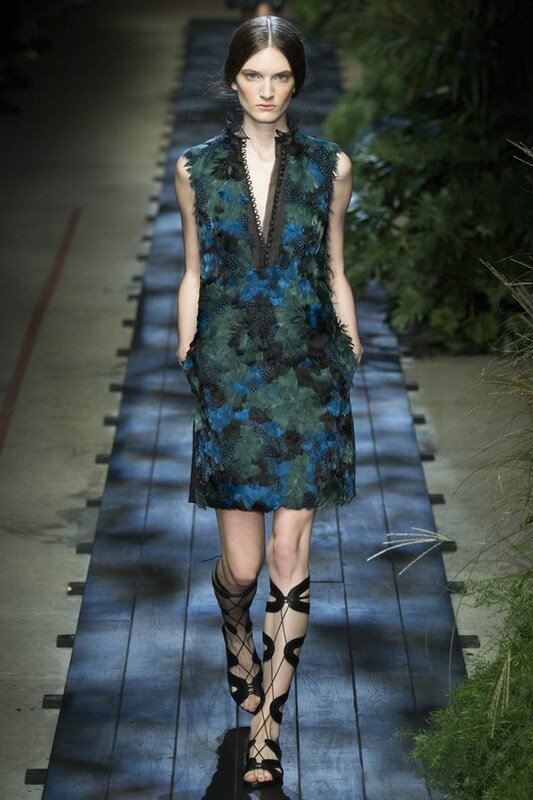 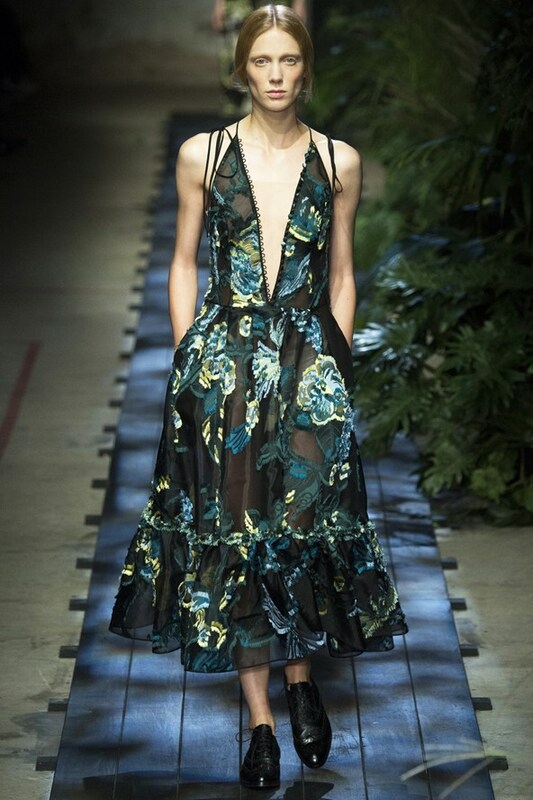 This entry was posted in Fashion news and tagged 2015, black lace, black lace dress, chantilly, chantilly lace, embroidery, Erdem, Green lace, Guipure, guipure lace, spring, Spring-Summer, ss2015, summer.